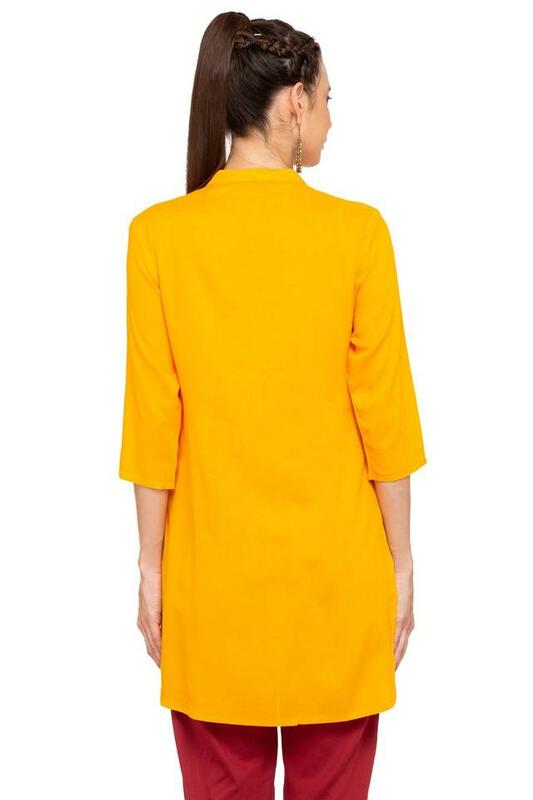 Keep it simple yet trendy by wearing this beautiful A-line kurta brought to you by Stop. It flaunts a mandarin neck, embroidered pattern and three quarter sleeves will help you to score high on the fashion meter. Besides, it has been made of good quality fabric to assure you sheer comfort and a luxury feel. 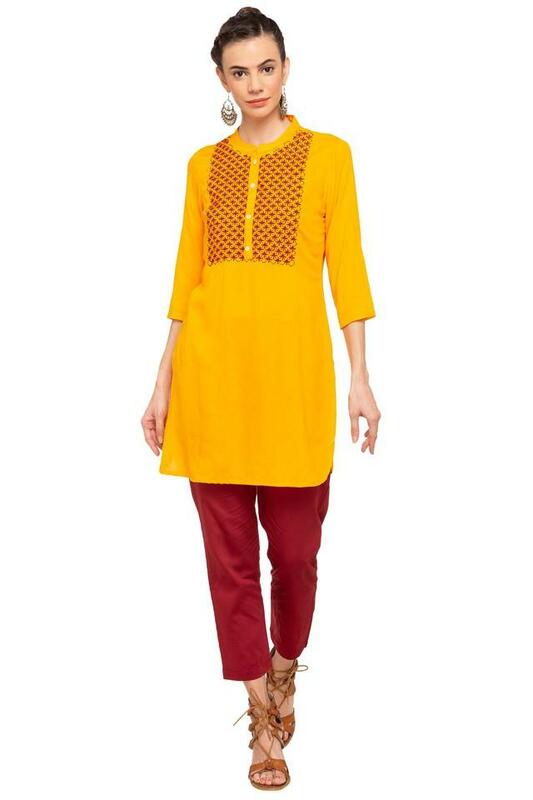 Get complimented for your sense of style with this A-line kurta. You can team it with pair of leggings for casual look for any occasion.